Boiron Calendula Cream was recently awarded the Parent Tested Parent Approved (PTPA) Seal of Approval. 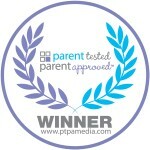 With over 70,000 parents, PTPA Media has North America’s largest volunteer parent testing community. These independent parent volunteers evaluate products in their own homes to ensure that PTPA winners are chosen based on merit and consumer experience—not on commercial considerations. As a result, the PTPA Seal has quickly gained recognition as an international leader in certifying consumer products for quality, effectiveness and value. Boiron Oscillococcinum flu medicine, Children’s Chestal cough syrup, Arnicare Gel & Cream pain-relieving topical medicines, and Camilia teething medicine have also received this prestigious parent award within the last year.